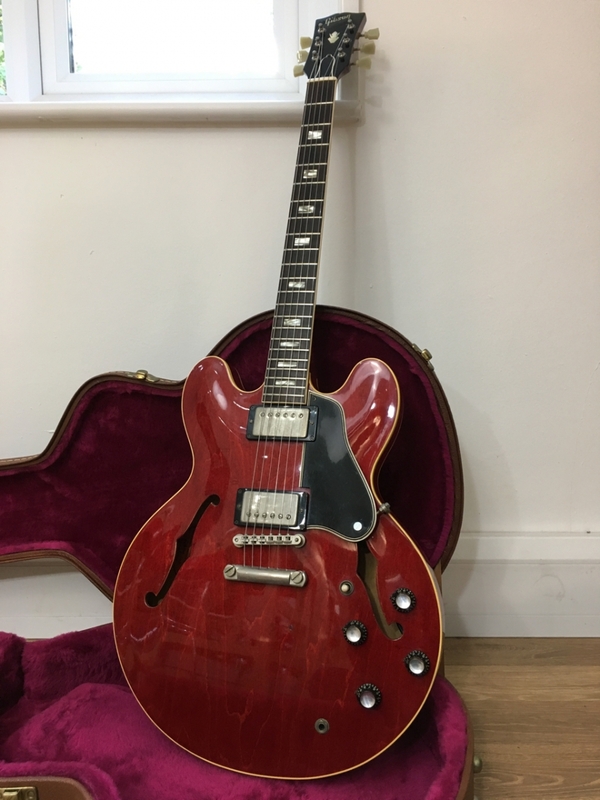 A lovely guitar to play and in very good condition for a vintage instrument. 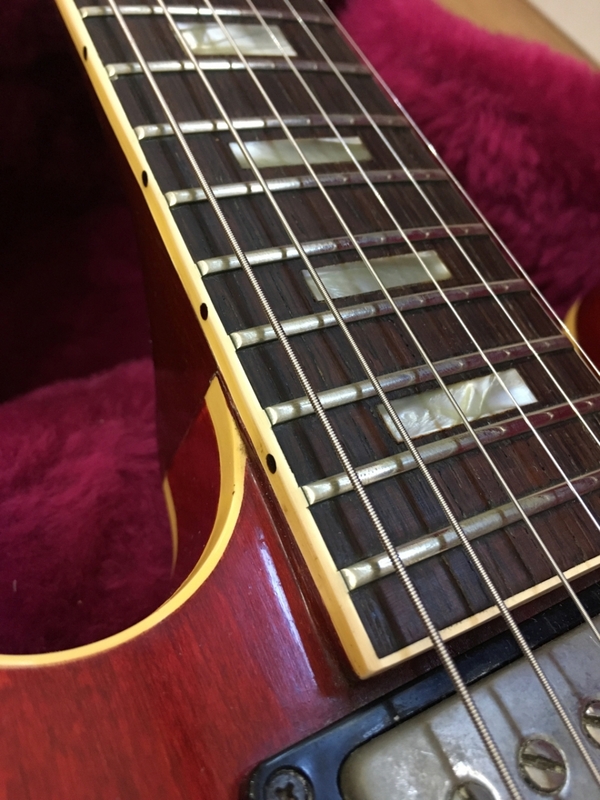 The guitar has the original frets, patent number pickups (2,737,842) and pots (1346205). 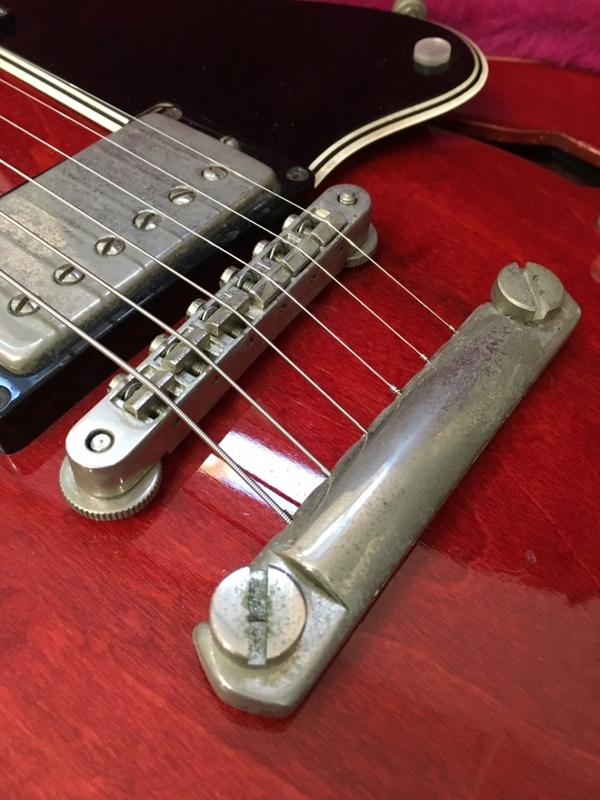 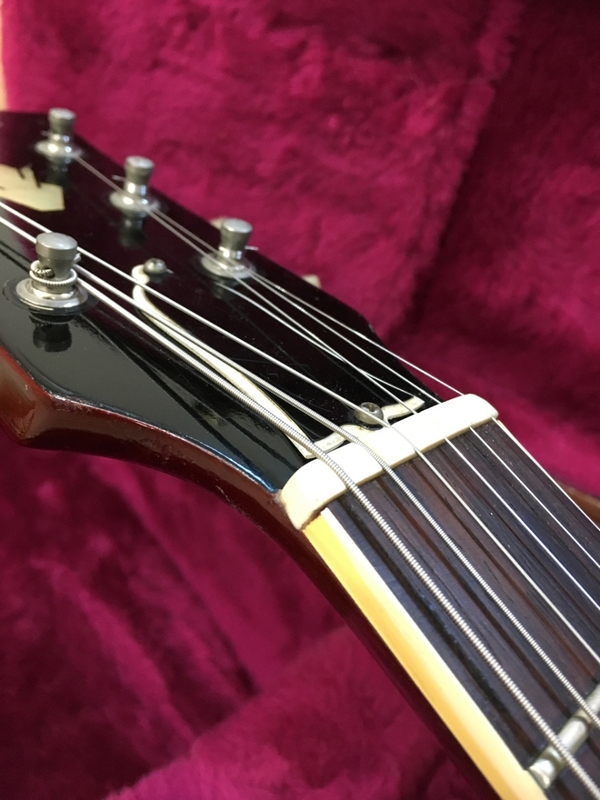 We believe the ABR bridge is an old replacement as well as the tailpiece. 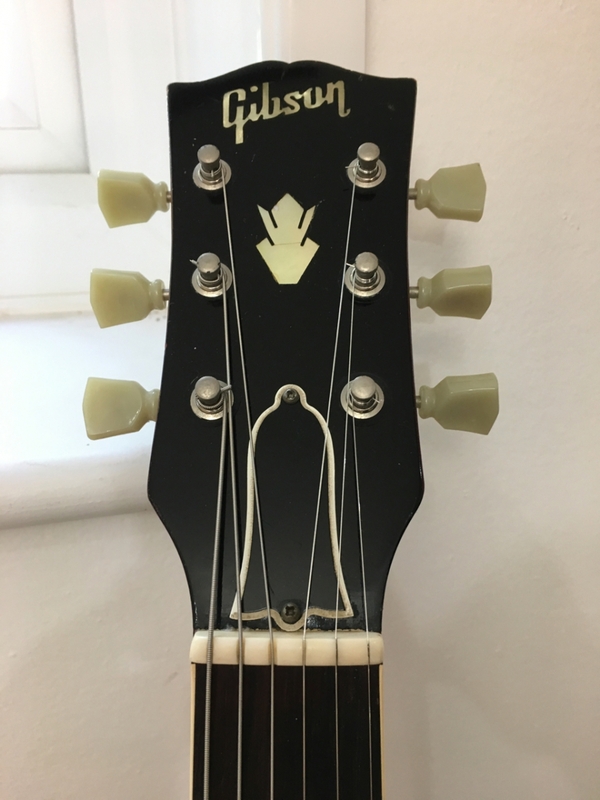 The Machine heads are an old set of single line Klusons not original to the guitar but a genuine replacement. 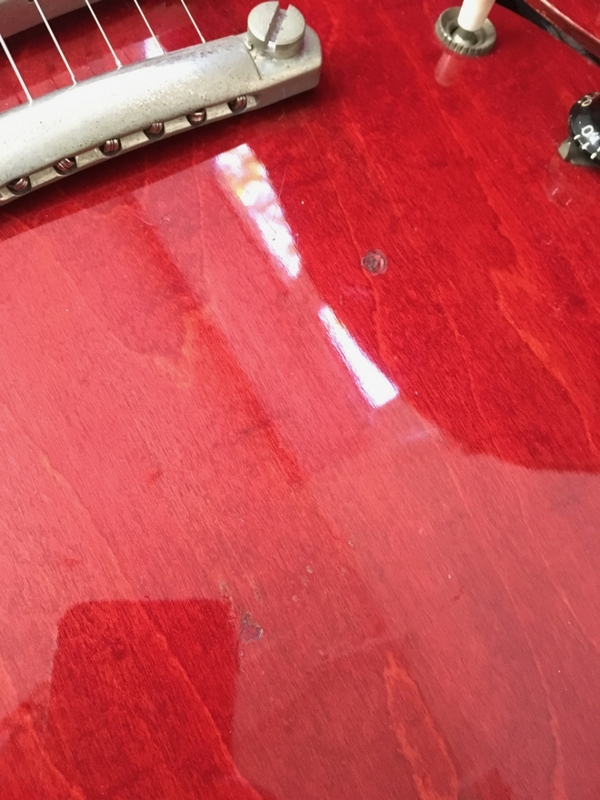 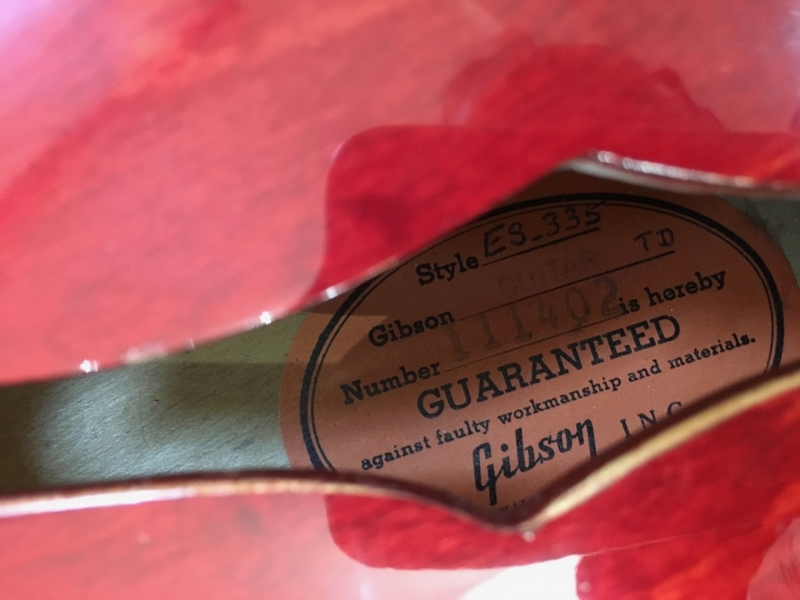 The guitar has had a long tailpiece at some point as well as possibly a Bigsby, there are 2 small visible marks on the top. 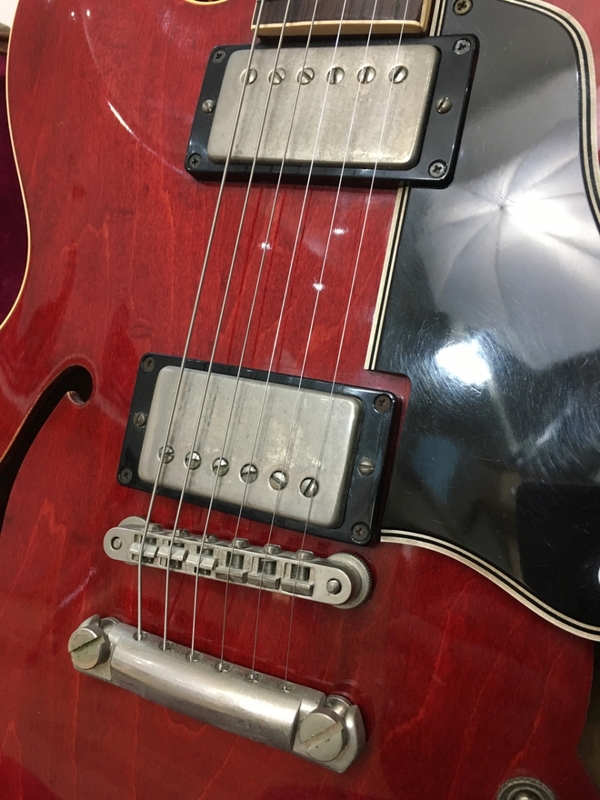 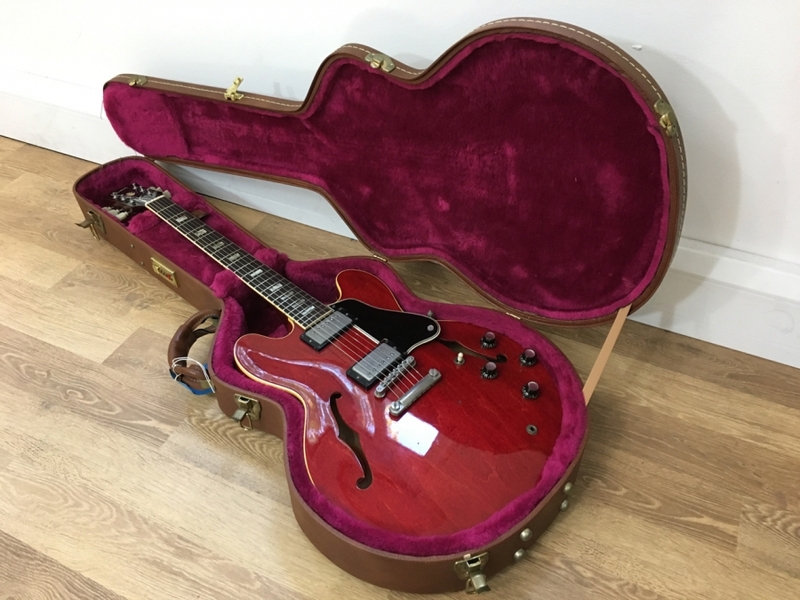 The guitar comes in a modern Gibson ES335 case, brown with pink inner. 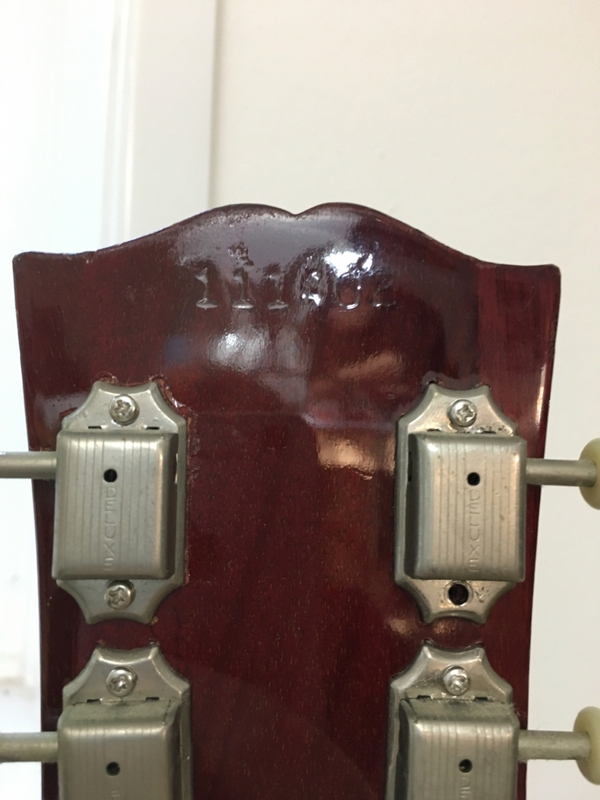 The price reflects the fact that there are some original features and some later parts. 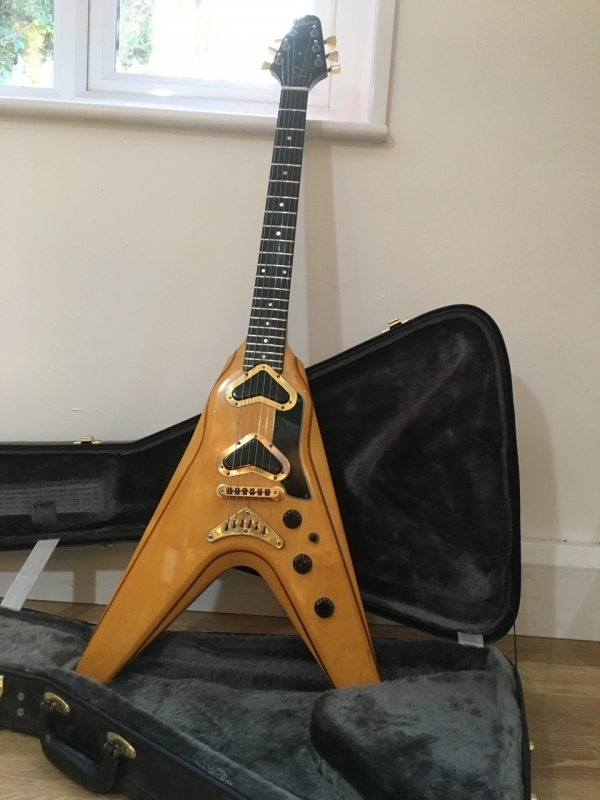 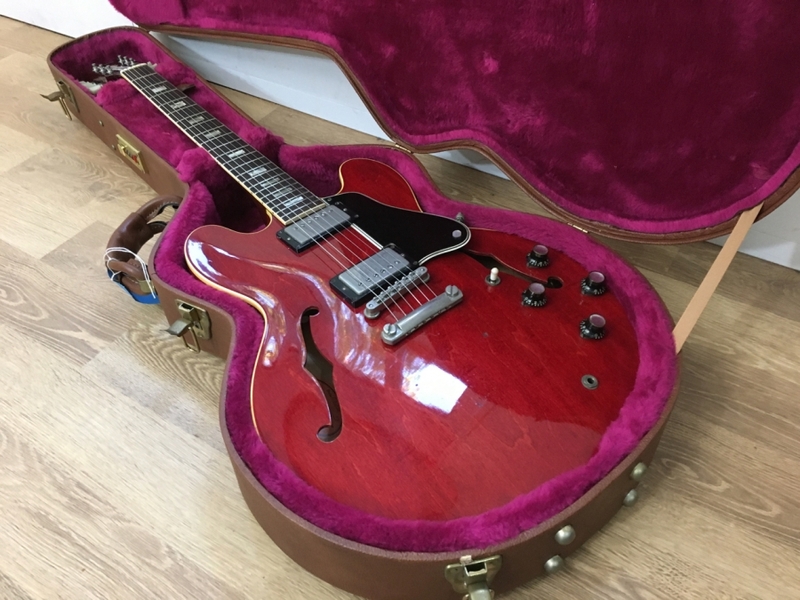 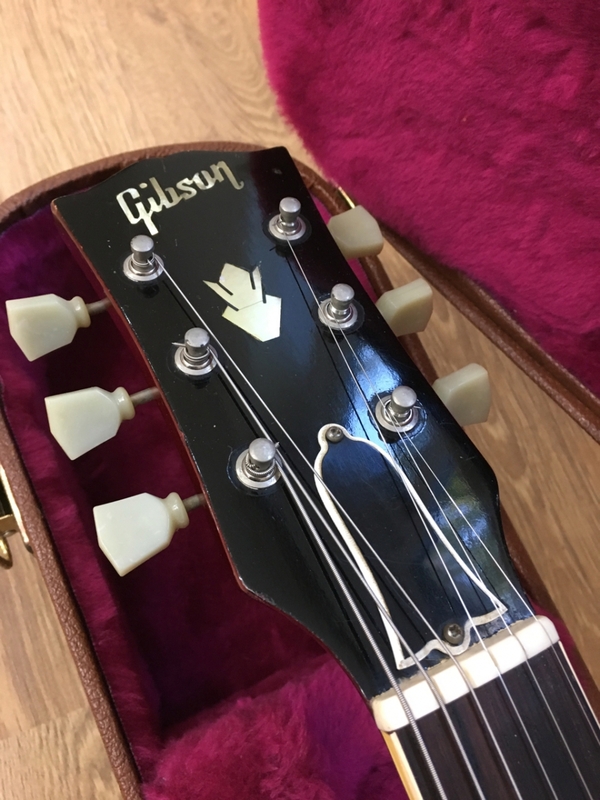 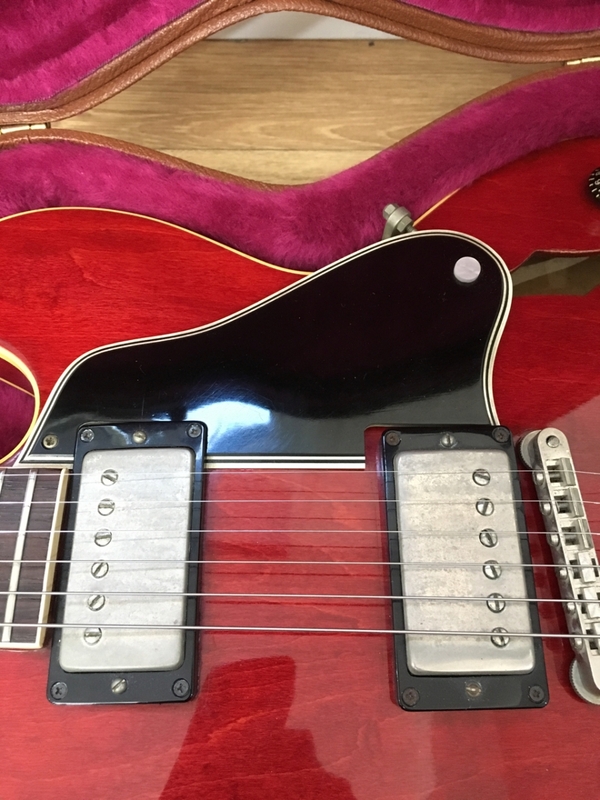 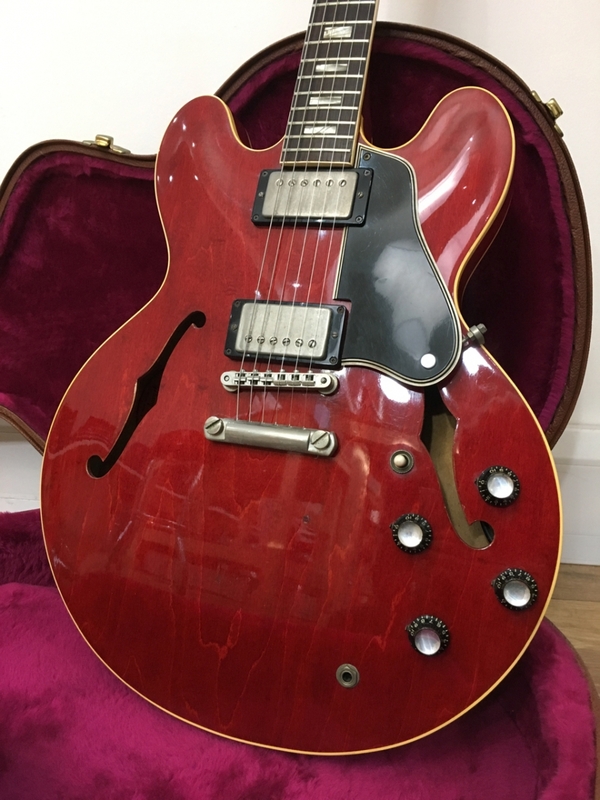 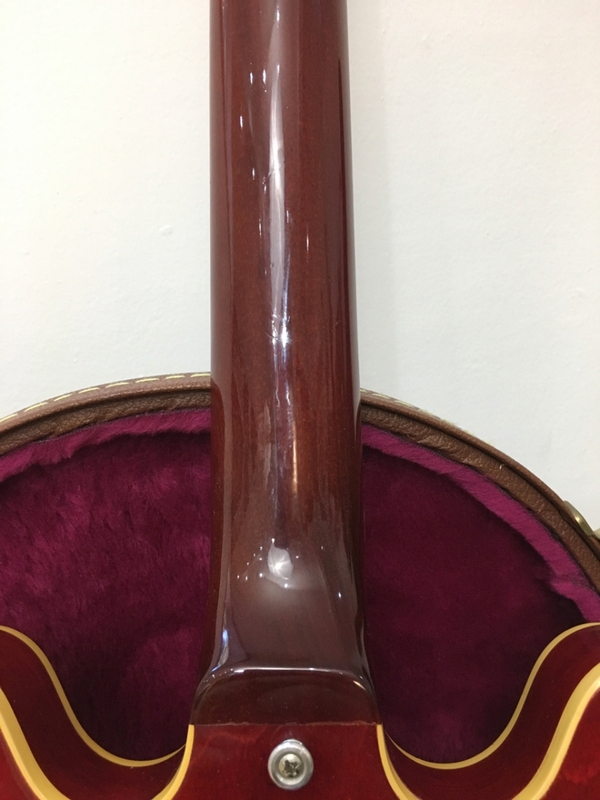 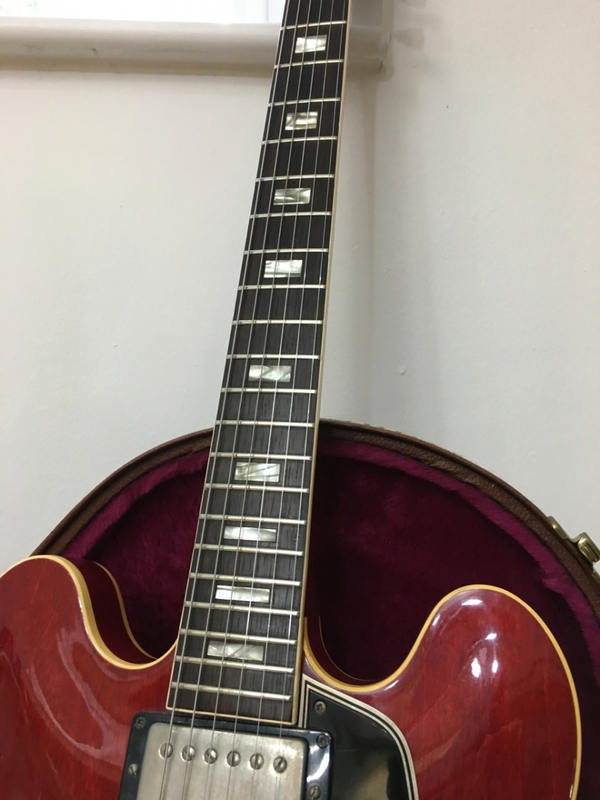 The guitar plays great and sounds stunning, would serve a player very well or with a little additional cost could be fitted out with all the original parts for a great piece to add to any collection. 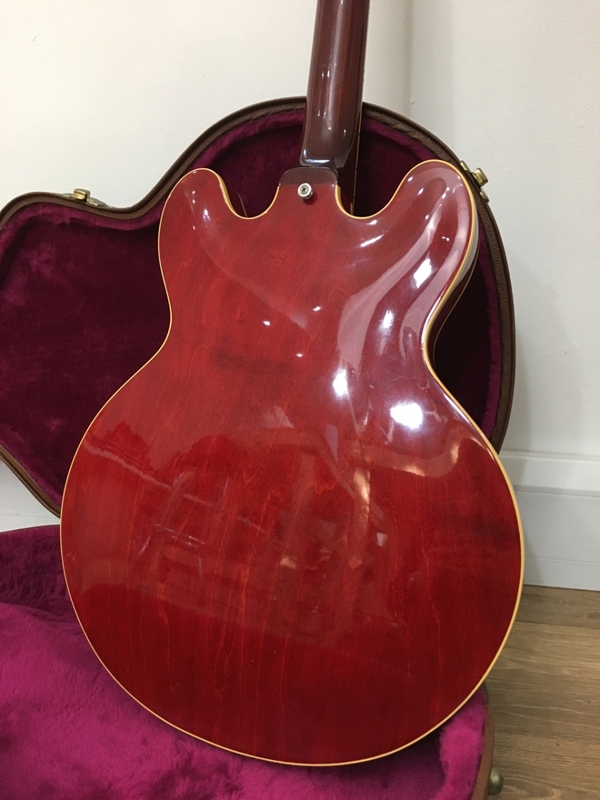 Please feel free to email or call 01435 205050 if you would like to try the guitar or if there’s any questions at all.